I have already addressed the external inconsistency of the Leftists’ focus on the “Palestinians” to the exclusion of other, similar, usually much more serious, issues (e.g. Darfur), explaining it with the very self-interested reason of the erroneous belief that the Israel/“Palestinian” conflict is the key to peace between the West and the Muslim world. But even though this inconsistency means that the Leftists’ battle-cry of, “Stand up to the right of indigenous peoples!” is hollow, it is further made hollow by the internal inconsistency of cultural, political and spiritual indigenism, otherwise known as the New Age. I have explained indigenism as a modern, urban, Western yearning, and shown how it can be harnessed as a potent conservative rallying point. I now wish to detail the disparity between the words, even the feelings, of those who claim to stand up to the rights of indigenous peoples, and their actions and even their thoughts. This issue is important because the conception of the West, the Bible and Israel as colonialism personified, as against the conception of the Muslim world, the Koran and the “Palestinians” as indigenous, native culture personified, is what drives the great majority of today’s Western Leftists to support the latter against the former. Anti-Western forces are quickly gaining ground in Afghanistan. What Washington and Ottawa keep claiming is an “anti-terrorist operation” against a handful of al-Qaida fighters and Taliban has, in fact, turned into fast-growing Afghan national resistance to foreign occupation. Were it not for the U.S. Air Force’s might and ubiquitous presence, U.S., Canadian, and British troops would soon be driven from southern Afghanistan. In the 1980’s and 90’s, I explored and became fascinated by the wild, lawless, then little-known frontier tribal agencies of north and south Waziristan, Khyber, Mohmand, Orakzai and Malakand. Their warlike, fiercely independent tribes joined Pakistan in 1947 under constitutional guarantee of total autonomy that excluded government soldiers from the tribal agencies. Let it be very clear that these are the same people who featured a video showing a 12 year old boy of theirs beheading a captured enemy. “Wild”, “lawless” and “fiercely independent” are still within the bounds of the romantic (“One village of indomitable Gauls still holds out against the invaders…”), but “warlike” is, needless to remind you, something that the present US administration is constantly berated for by people such as this writer, people who swear by the slogan, “War is not the answer”. A good encapsulation of the inconsistency. 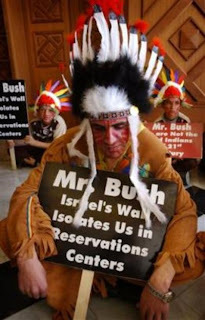 “Palestinians” dressed as Native Americans, for Western Leftist eyes. Hat tip: Solomonia. I cannot stress this enough: our enemies know which strings to play to turn the world against us, therefore we must adapt as swiftly as possible. Connection to the land, to Nature (thus capitalized). A healthy social life (“Wife, Children and Friends”, as the title of one Celtic song goes), undisturbed by modern pollutants (cell phones, the Internet and the like). Frugality, both personal and political. By the latter, being satisfied with one’s land and not going on colonial expeditions or imperial adventures is meant. Localized spirituality, in tune with the land, not imported from elsewhere as a universal message for all people. An oral, living culture, without the petrifying effect of the written word. There are surely more, but these are the most salient points. When I compare those points with the Pashtun tribesmen for whom Eric Margulis has expressed such admiration, I am dumbfounded. It is an example of not letting the facts get in the way, but not just in the way of one’s view of reality but in the way of one’s very ideals and yearnings of the heart. It is the ultimate betrayal. The contradiction runs in both directions: on the one hand, the objects of admiration in the real world are, more than often not, counterexamples to the indigenists’ ideals, sharing many points in common with the hated West, Bible and Israel; on the other hand, the ideals run counter to that which the admired ancients ever were. Let me begin with the Pashtun tribesmen. Their connection to the land exists, but is the functional one of birth and acquaintance; as believing Muslims, they are taught to regard the whole world as their land. They are taught this from the Koran, which is scripture; an individual Pashtun may be illiterate, but the imam who teaches him is not, and he gets his ideas from the written word, a message which is universal, for all people, and an import from the desert of Arabia, not a native Pashtun growth. As for their social life… Mr. Margulis can admire their fierce tribalism all day long, but in the end, this tribalism is made possible by the same concepts which, when expounded by people in America, are decried as “the darkness of the Religious Reich”. Or to put it another way: this healthy social life with a loving wife, dear children and beloved friends is not possible with the social innovations that the Leftists uphold. Polyamory and “open marriage” have to be thrown out for there to be a real soul-relationship between a man and a woman; the creation, and healthy rearing, of children requires a father and mother, no matter what the spirit of the time says; and a company of friends can gather only if there is a shared interest in real life, not the “everyone blazes his own trail” mentality of Progressivism. Also, regarding the much-admired “resistance” of the Pashtun tribesmen and the “Palestinians”, it should be noted that they no longer rely on romantic indigenous artifacts such as swords, horses and bows and arrows; their AK-47’s and suicide vests are made from the finest products of the Western industrial assembly-line. But the indigenists are so obsessed with shaking their fists at the ugly sight on their mirrors (Western culture) that they fail to ask themselves whether their objects of admiration think the same. What most struck me in that passage is the idea that the Native Americans were offended by the hedonistic practices. In the romantic image, non-Biblical cultures are rife with sexual freedom, yet here we see that those played no part in traditional Cherokee ceremonies. The idea that “Puritan notions of sexuality” could be found in pagan cultures is shocking to the romanticist, but that is the reality. The Bible describes scathingly the child-sacrifice of the Canaanites; from that, one might gather human sacrifice was a universal pagan practice, but we find as matter of historical record that the Romans (pagans) banned the Celts (also pagans) from sacrificing humans. (As an aside, from my Jewish point of view: I think it is for that reason that G-d let the Romans have a vast and durable empire, as a reward.) And today, the only ones who are known to engage in human sacrifice, and child-sacrifice no less, are monotheists—the Muslims. This is whom our enemies serve in their hearts. See this, O HaShem, One and Only True G-d! This lumping, this wide brush, this stereotyping underlies the New Age, which is indigenism and romanticism writ large, universalized and reworked into an all-eating global movement. It takes from the nations and religions it admires only those features that its romanticist adherents like, melts them into a hodgepodge and discards that stuff which the New Agers consider nasty. Many indigenous cultures had quite definite, and Biblical-sounding at that, roles for the sexes, and condemned homosexuality? To hell with that. Many ancient peoples had gods of war and praised warfare and bloodshed, and some even sacrificed their war-captives to those gods? That’s very nice, but that makes us queasy—you know what, we’ll pay tribute to those ancient customs by supporting those who still have the stomach to follow them, such as the mujahideen of Afghanistan. And how about leaving the comfort of your armchair in front of the computer monitor reading about primitivism and actually living those ideals? That’s rad, man, but it’s just, you see, I ain’t got that thing for mosquito bites, y’know. The New Age is the theological error of paganism without the real-life circumstances under which pagans lived: crystals and necromancy and vision quests and “free love”, without the concepts that are far too reminiscent of true, Biblical belief for comfort, such as the idea of divine judgment and punishment, even if those are believed to be meted by deities which are permissible and hypocritical, unlike the One True G-d.
Judaism and the Land of Israel are inseparable. Many of the 613 commandments can be performed only on the Land of Israel. Most of the festivities (including the coming Shavuot, or Festival of Weeks) are tied to the characteristics of the Land of Israel. Marriage is enjoined on all, for the purpose of procreation, as well as love. Once a week, by G-d’s command, all the modern disturbances are switched off (my cell-phone gives me a rest for about 25 hours). No other land than the Land of Israel belongs to the Jews; any other land is a temporary stay, even if that stay takes centuries, while the Land of Israel is the only one which we desire to possess and which we can call home. And the LORD spoke unto Moses in mount Sinai, saying: Speak unto the children of Israel, and say unto them: When ye come into the land which I give you, then shall the land keep a sabbath unto the LORD. Six years thou shalt sow thy field, and six years thou shalt prune thy vineyard, and gather in the produce thereof. But in the seventh year shall be a sabbath of solemn rest for the land, a sabbath unto the LORD; thou shalt neither sow thy field, nor prune thy vineyard. Of this, Rashi asks, “What has the Sabbatical Year to do with Mount Sinai?” For these words of HaShem were spoken to the Jews when they were still in the desert, where such a commandment is totally out of place. But the Land of Israel was given to us in HaShem’s will, and not by our having been its “First Nation”. This link to the land is the strongest possible, and throughout more than 2,000 years of being outside the Land of Israel, the Jewish nation never relinquished its spiritual connection to it. Contrast this with those self-professing indigenists and make-believe indigenous peoples such as the Fakestinians: they scramble to find out any ancestral scrap, to fabricate any ancient tie, to their desired lands. White American indigenists try searching the family tree for the tiniest hint of Cherokee blood, some—like Ward “Little Eichmanns” Churchill—making it up when they can find none, and the Muslim usurpers of the Land of Israel have engaged in the impressive feat of creating a whole new nation from scratch, yet though they have taken much of the world on their ride, they have no ancient connections to speak of. What they, both the Muslims and their Marxist sympathizers, covet in us and causes much of their hatred toward us—no matter how much they deny it—is this great favor that HaShem has conferred upon us: our sure heritage. Speaking of indigenists and the truly indigenous, I read once that Marie Antoinette had a pastoral playhouse on the grounds of Versailles, so she could live the carefree life of a simple French shepardess when the stresses of privelege and wealth became oppressive. It seems the genuine French indigents weren't quite as enamoured of their lifestyle as Marie had imagined. One wonders if the current crop of romantic indigenists will have as close an encounter with reality as poor, benighted Marie. The more things change, the more they remain the same. Anon, it's interesting you mention the French context, because indigenism had its most marked beginnings with French thinkers. 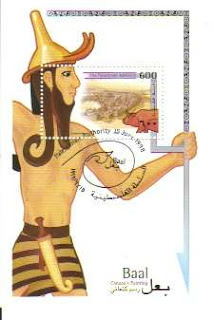 Rousseau is widely-known as the father of primitivism, and writers like Montesquieu (in his Persian Letters) and Diderot used the praise of indigenous peoples as a means of criticizing their own cultures. Not much has changed. I was raised on all those things: indigenism, socialism, atheism, sexual permissiveness, romanticism, the whole lot. But, like quite a few of my classmates, I went the unexpected (by the Baby Boomer generation who raised us) way which I dub, "skeptoskepticism". Questions like, "Who says Western culture is no good?" and "What reason have I to hold religious belief is false?" gripped me. I realized indigenism was not a result of the emptiness of my own culture, but a reflection of the fact I didn't even know my own culture. And when I found my own culture, I was overjoyed by how it gave me everything I'd been looking for in all those strange fields. I really hope my journey is a type, a symbol of this whole generation. If that's so, then there's great hope. I was raised by the Great Depression generation, and I retain much of their innate caution and skepticism. I agree you are one of a new type. I have met a number of young people who are looking past their parents' generation and rediscovering the values and traditions of earlier ancestors. Curiously, they relate to a number of religious traditions, but it is a dissatisfaction with baby boomer culture and a sense of connection to the world of their ancestors that they have in common. I see neopaganism as part of this "back to the roots" movement you speak of. But unfortunately for those who seek their roots in that direction, it is impossible to resuscitate those old religions, because their practitioners never wrote them down systematically. As a result, neopagans have to be content with tantalizing scraps. Christianity may be an imported religion, but it's well-recorded, and to those who are seeking their roots, it's the next best thing (centuries of ancestry from whom this is the tradition). I have not encountered any neopagans, and all my theories are based on personal observation, so they don't have the sturdiness of data acquired with rigorous methodology. But my observations have begun to startle me. I think we are heading into another of those famous American Great Awakenings. This one will be distinctly different. This new generation of young adults is quite reticent, it is quietly making its commitments. There is nothing "in your face" about these young people, as there was with their 60's generation parents. I don't know where this is going, but I await future developments with great curiosity and a tentative optimism. We are the best. Israel forever.